Read “The Go-Giver; A little Story About A Powerful Business Idea” to learn more. As a champion of change and an advocate of the Ethic of Reciprocity, reflected in the Golden Rule, and Continuous Improvement Processes, FIRSTPLAN supports Open Built Cultures and an OPEN BUILD business model that enables like-minded enterprises to join Alliances to develop raw land and to plan, design, and construct single-family homes pursuant to a modified version of the Toyota Production System, (TPS) to aimed at eliminating waste. FIRSTPLAN’s Open Built Culture business model arms stakeholders with the tools necessary to eliminate DOWNTIME in residential construction. As a result, Teams working under FIRSTPLAN’s OPEN BUILD business model develop better subdivisions and build higher quality homes faster and for a better value than builders and developers operating under traditional business models. The built industry operates in silos in a competitive low bid environment. That environment lacks collaboration, trust and transparency, and fails, often, to deliver value. Too many low bidders cut corners, compromise quality, and react rather than plan. Continuous improvement process studies indicate waste and inefficiency in many sectors of industry exceed 50%. Data demonstrates the construction industry wastes 57% of the labor it procures. In 2004, NIST (the National Institute of Standards and Technology) identified $15.8 billion in annual waste related to interoperability in capital facilities. Wasted materials, injured workers, broken equipment, re-work and increased costs related to poor management of energy, operations and maintenance contributes billions more in red ink. FIRSTPLAN tackles those problems. FIRSTPLAN’s OPEN BUILD approach mitigates silos and transforms building into a highly collaborative, efficient, and transparent process that reduces DOWNTIME. Leveraging the Ethic of Reciprocity embedded in the Golden Rule, FIRSTPLAN teams agree to adhere to the Golden Rule in their Golden Rule Alliances (Alliances) that operate as integrated teams under FIRSTPLAN’s OPEN BUILD system. These Alliances deliver construction projects utilizing an array of innovative FIRSTPLAN business tools and processes while building trust based business relationships that increase profits, quality and speed of delivery. Leveraging Virtual Design and Construction, (VDC) FIRSTPLAN’s OPEN BUILD model brings Just in Time (JIT) delivery to every aspect of a subdivision and new homes built in a subdivision. Beginning with land acquisition and continuing through land planning, permitting and ultimately design, construction, operations and maintenance of its homes, FIRSTPLAN applies Continuous Improvement Processes (CIP) to the whole of the residential planning and construction process. Virtual design tools enabling fly-through visualization of subdivisions and individual homes, provides real-time analysis of design, cost, schedule, quality, impacts on the economy, environment and energy usage. The US construction industry put $952 billion in facilities and infrastructure in place in 2014, of which $370 billion was residential. FIRSTPLAN attacks DOWNTIME waste in the Residential sector and will eventually pivot to the commercial arena. FIRSTPLAN‘s marketing campaign integrates the process of identifying home owners and with the creation of Alliances. Designed to reach potential homeowners, builders and trades in a specific community and to scale to reach homeowners and Alliance members all over the country and around the world, the campaign is unique. FIRSTPLAN identifies new homeowners and potential Alliance members in key markets through workshops, seminars, brand recognition, word of mouth, MLS listings, new enrollment in school districts, website visits and social media etc. Continuous improvement techniques applied to the sales marketing process increases calls, emails, website traffic, and social media. Leveraging social media, the chamber of commerce and better business bureau contacts, testimonials, surveys, and satisfaction scoring, all add to customer confidence in the FIRSTPLAN brand and our Golden Rule based OPEN BUILD business model for the development of subdivisions and the construction of new homes. Members of FIRSTPLAN’s initial Alliance intend to invite their business and LinkedIn Group contacts to join the effort. In addition, event sponsors and their clients will be invited to join Alliances. 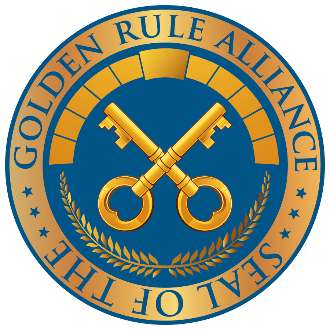 Those contacted will be invited to the Golden Rule Alliance website where they acknowledge a simple Golden Rule Agreement and agree to be bound thereby. New adherents identify their interests, and are invited to pursue Alliance projects in their region by linking to other Alliance members, hosting Alliance oriented workshops / events, and other opportunities. FIRSTPLAN derives revenue from shared gains on successful projects, 1% transactional fees from Golden Rule Alliance members, and revenue from seminars and workshops. Operating under the FIRSTPLAN’s OPEN BUILD model Alliances exist as for profit enterprises that increase profits by expanding the economic opportunities and improving business processes for all members. By strategically leveraging individual and company expertise, Alliances add value to the business enterprises of all Alliance members. Working collaboratively and cooperatively, as an integrated team, the Alliances seek continuous improvement and increased profitability for all Alliance members. The rate of waste and inefficiency in construction tops the 50% rate measured in other sectors and FIRSTPLAN projects using the customary 80/20 rule for waste cost recovery. This rule provides that 80 percent of waste can be attacked using continuous improvement tools and 20 percent of waste is attributed to the cost of doing business. 20 percent of the 80 percent of waste is viewed as easily recovered. Thus, by way of example, on a $100,000 project, $50,000 represents waste and cost of doing business, with $40,000 of that subject to continuous improvement. Of the $40,000, approximately $8,000 is waste that can be effectively recovered. As a Go-Giver organization, FIRSTPLAN’s goal is to give more than we receive. Through Alliances with others we aspire to lighten the load of doing business. If your values align with the Golden Rule, consider becoming an Alliance member today!